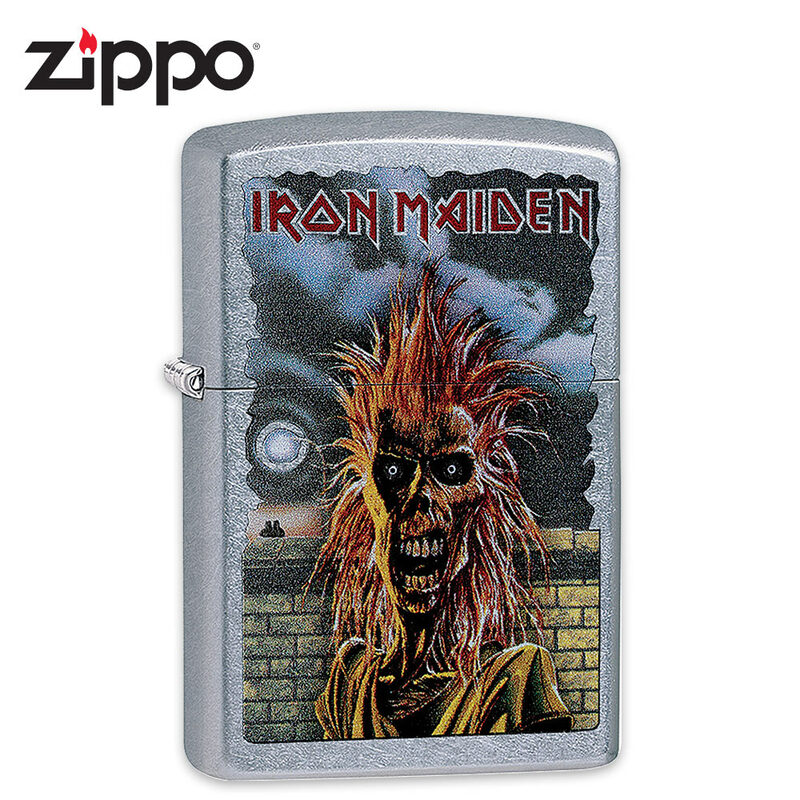 No band rocks harder than British metal gods Iron Maiden, and no lighter burns better than the classic Zippo. Merge the two, and you've got the baddest lighter on the planet - the Iron Maiden Zippo! Paying homage to 40 years of creative independence, fierce fan loyalty and defiant indifference to critics and naysayers, this distinctive lighter features uniquely bold graphics straight from the cover of Iron Maiden's 1980 eponymous debut album. In brilliant full color, Iron Maiden icon "Eddie" gazes menacingly forward, his ghastly face split into two distinct halves and encircled by a wild, erect mane of hair. "Iron Maiden" is emblazoned at the top of the vibrant image in the band's trademark angular lettering. Like all Zippos, this delightfully ghoulish and fantastically bizarre lighter is windproof and built to last a lifetime. Whether you raise it skyward during a ballad at a rock concert, light a campfire with it or display it in a rock 'n' roll memorabilia collection, every true Iron Maiden fan and/or Zippo aficionado needs one of these head bangingly sick Iron Maiden Zippos!